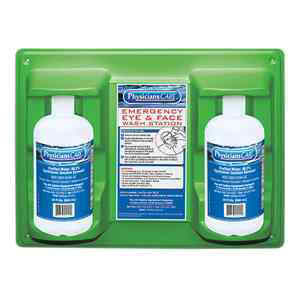 These secondary Eyewash Stations provide easy access for a quick response to eye accidents. The smaller size of these stations makes them ideal for placement closer to hazardous areas for immediate response. The removable bottles are also perfect for portable use when transporting an injured worker to a facility for further medical care.